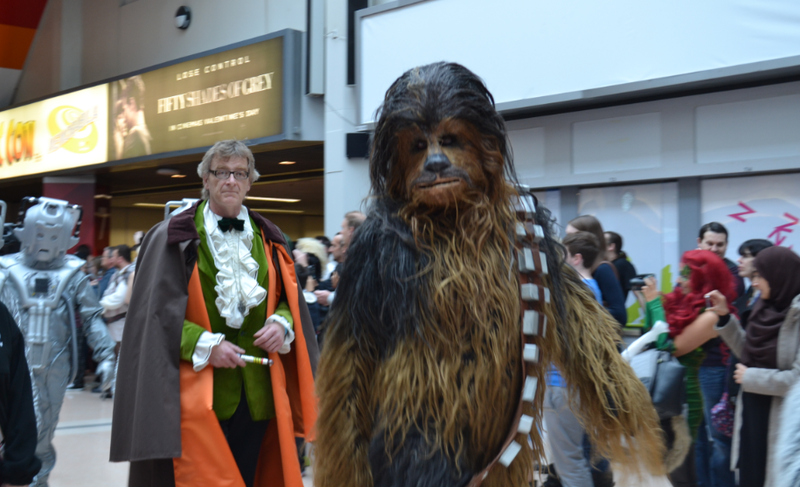 As a fellow cosplayer, the costumes that are seen at MCM Expo and the like have always been the highlight of my Convention weekend. 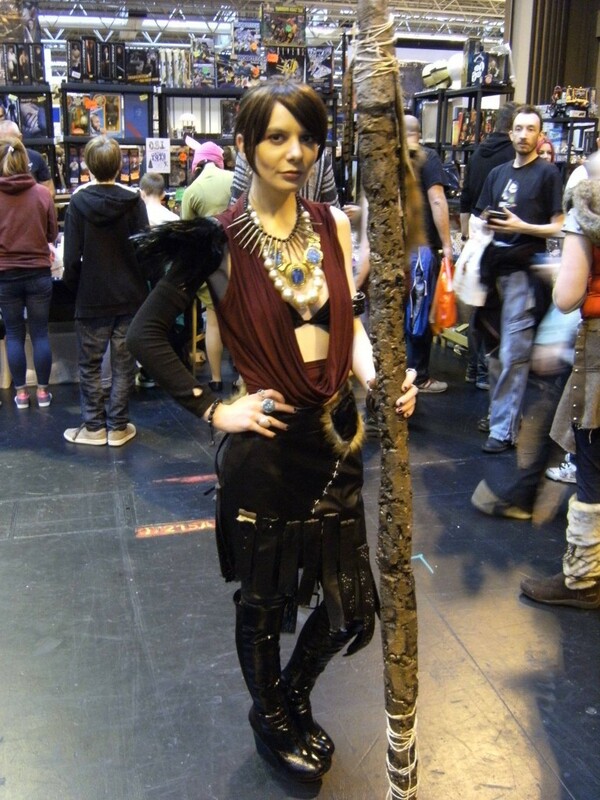 I myself (as usual) took part in the geek festivities and cosplayed as Morrigan from the newly released Dragon Age: Inquisition (pictured above), and I can honestly say that the standard of cosplay was definitely raised at MCM Birmingham last weekend; not just in creativity of who exactly to cosplay as, but in the quality of the costumes as well. Maybe, one could say even more so than its London counterpart back in October; especially seeing as MCM Birmingham is one of the largest conventions here in the UK. 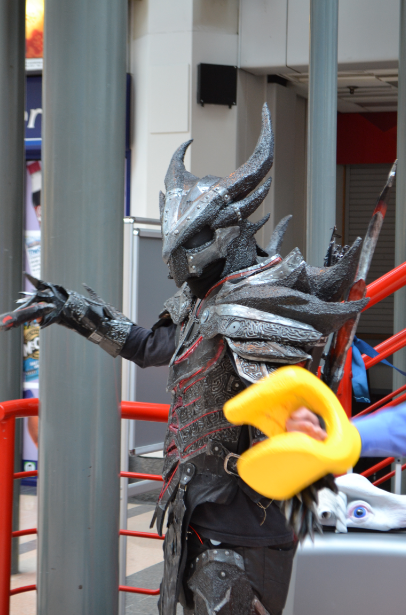 Even before entering the Convention itself, it was hard to miss the hoards of cosplayers that were situated just outside the main halls in The NEC; who were busy entertaining fellow con-goers or taking part in group photo-shoots based on their Cosplay’s franchise. 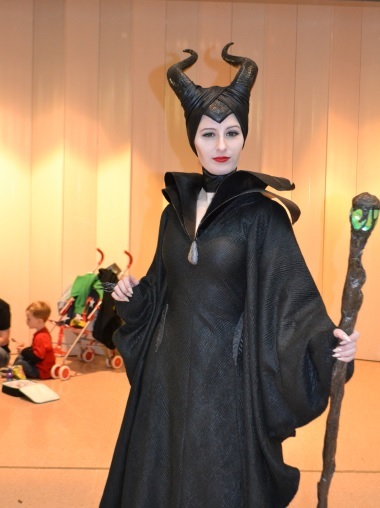 This cosplayer did an incredible job of bringing to life the new Angelina Jolie led re-imagining of Maleficent with her cosplay. Every bit of her costume was screen accurate and it was no wonder that she became one of the most popular cosplayers of Sunday’s convention day; especially amongst the children! 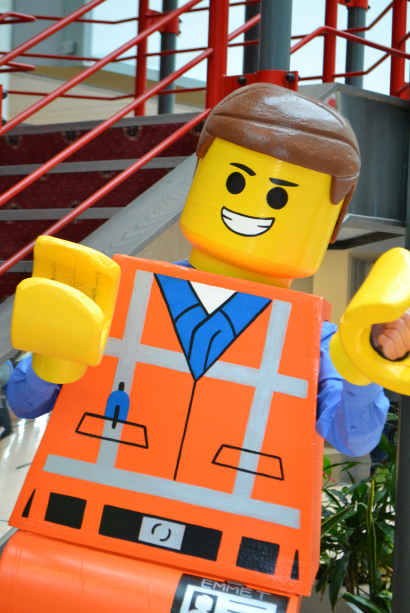 Its safe to say that Lego plays a huge part to everyone’s childhood (especially with the help of video games like Lego Batman being hugely popular), it was welcoming to see an Emmet cosplay from The Lego Movie. 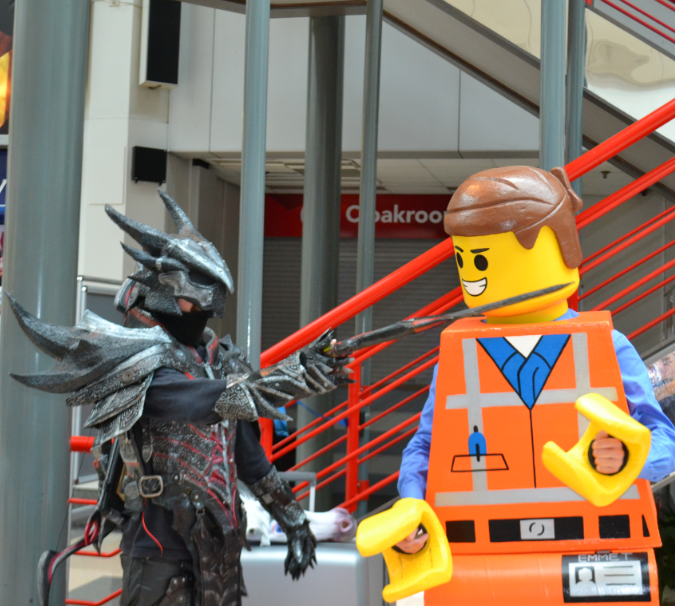 This cosplayer stayed true to Emmet’s playful nature and entertained everyone with his mischievous antics, which of course included a lot of photobombing! Gender-bending a character has always been quite the popular trend within the cosplay community; and this Rule 63 Elsa from the insanely popular Frozen is a great example of a hugely creative re-imagining of Elsa as a male counterpart. The snowflake prop was also a nice touch, making the cosplay that much more believable! 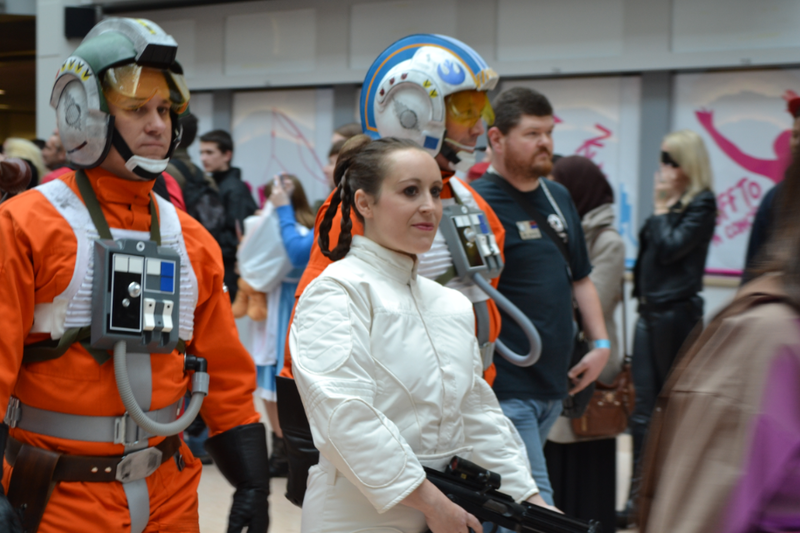 …But luckily, this cosplayer had a sense of humour! Group cosplays are also a commonly featured at conventions, especially as its a great way to make new friends with fellow fans of a favourited franchise. 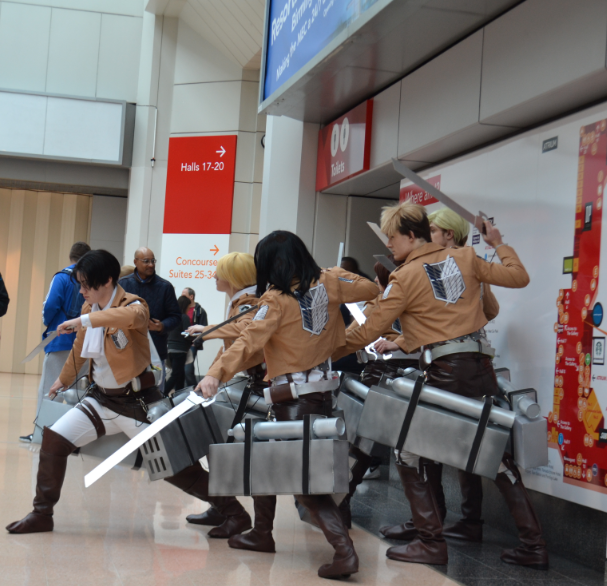 Attack on Titan has been a popular franchise in particular among Anime fans, so seeing a full team of cosplayers as the cast of the show was definitely something to see at a UK convention such as MCM Birmingham. 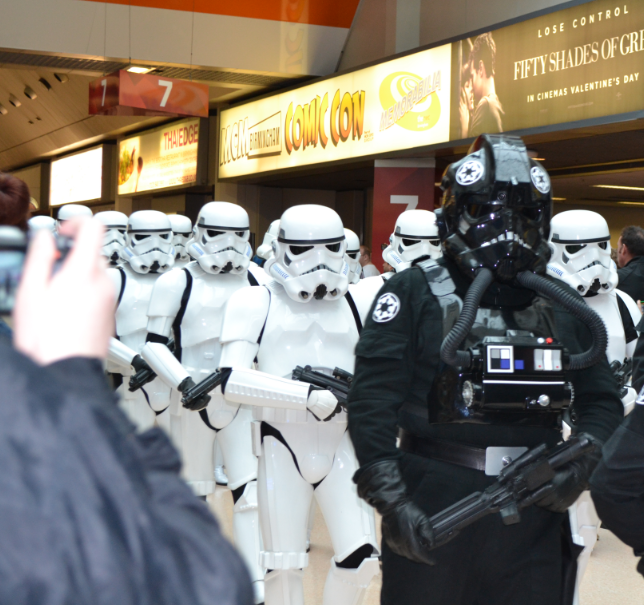 In the words of Sean Bean, ‘one cannot simply’ attend a Convention without witnessing some Star Wars Cosplay courtesy of UK Garrison during their march outside the halls of The NEC. 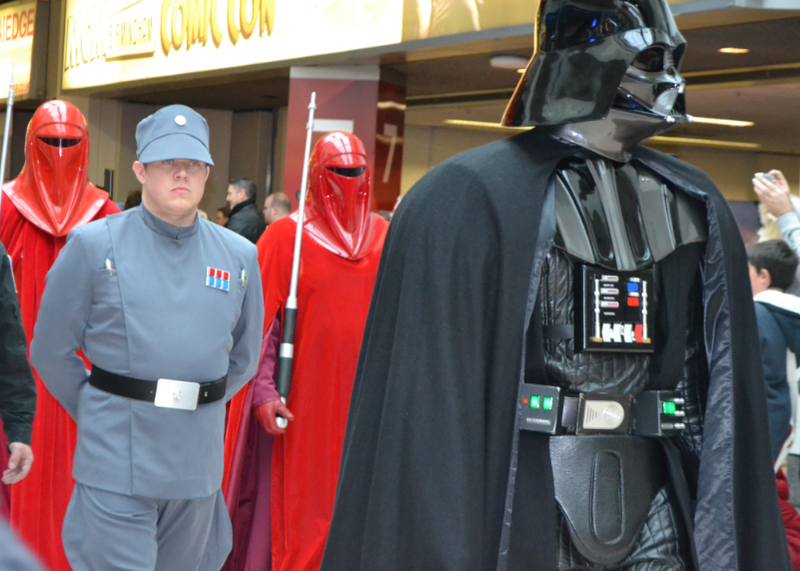 The parade of Star Wars Cosplay included the classic Stormtroopers, Imperial Guard and of course a Chewbacca and a Princess Leia. Photography by Jess Healy, Rob Hall.